Ms. Garfield has worked on labor and employment matters in the state and federal courts and agencies since 1979. 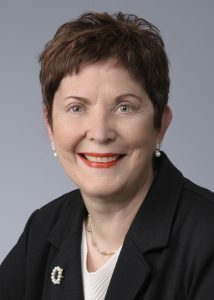 Prior to entering private practice, she served as law clerk to United States Court of Appeals (Second Circuit) Judge Thomas J. Meskill during his first year on the bench. She then was appointed an Assistant United States Attorney for the District of Connecticut, representing the federal government primarily in civil cases. Ms. Garfield has extensive experience handling most labor and employment issues. She has successfully argued cases before the Connecticut Supreme and Appellate Courts and the U. S. Court of Appeals for the Second Circuit. She successfully defended a reverse sexual harassment case tried to jury verdict in United States District Court in Massachusetts and an age discrimination case to judgment before the Connecticut Commission on Human Rights and Opportunities. She has also participated in jury trials involving race discrimination and wrongful discharge. She has handled unfair labor practice proceedings, workers’ compensation and retaliation hearings, disability cases and family and medical leave investigations and hearings. She regularly participates in mediated resolution of disputes. Ms. Garfield for several years conducted the required sexual harassment training for employees of the Judicial Department of the State of Connecticut. Connecticut, Massachusetts, United States District Court for the Districts of Connecticut and Massachusetts, United States Court of Appeals for the Second Circuit. Ms. Garfield serves as a Special Master for the United States District Court. She also has been a featured speaker at the 1993 Connecticut State Judges Institute and a faculty member at diversity training for Connecticut Superior Court Judge. Ms. Garfield is AV Preeminent rated by Martindale-Hubbell and is listed in every edition of the Best Lawyers in America® since 2010 in the practice areas of Employment Law – Management; Litigation – Labor and Employment Law. Attorney Garfield is listed in the 2010-2016 editions of New England Super Lawyers under the category of labor and employment law.